A huge plateau of international elite mountain runners leaded more than 200 athletes this morning on the tracks of Memorial Partigiani Stellina Susa, which celebrated its 30th birthday. To celebrate the thirtieth anniversary, the Stellina returned to the original course-track, made up of 14,4 km and 1’630 mt of positive ascent, a very demanding course from the center of Susa, under the magnificent Arch of Emperor Augustus, to the Partisan Brigade’s memorial stone at Costa Rossa, after having also passed through the Grange Sevine, a symbolic place of the battle for freedom. The men race was a concentration of emotions and challenges at the highest level, it was finally decided by the Norwegian Johan Bugge, who won the race with the final time of 1h19’48 “, second place for the Italian Francesco Puppi (1h20’38”), detached 50″ and third for Kenyan Timothi Kimitay Kirui almost 3 minutes from the winner (1h22’34”). 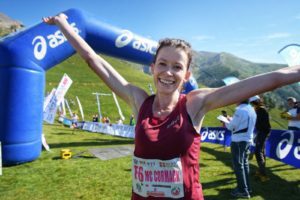 In the women’s race epilogue and a bit of a surprise with the victory of the Irish Sarah McCormack who beat the competitors running very well and imposing in 1h35’55”. Opponents were actually far: second is the Kenyan Muthoni Joyce Njeru in 1h39’01”, third place for Gloria Giudici in 1h39’38 “, the best of the Italians and the only one that provided some convincing answers in view of the World Championship in Canillo (AND) that this time for the team “azzurri” promises to be a very complicated appointment because of the absence of almost all the best athletes of the national mountain team. 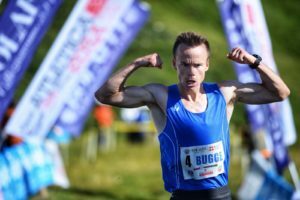 The record of the race of Jonathan Wyatt (1h14’37 “established in 2004) remains firmly in place, only a great sporting effort in the future will allow to approach the impressive performance offered by the current president of World Mountain Running Association. Memorial Partigiani Stellina is the first mountain race recognized by the IAAF (sanctioned in 1989) and represents a symbolic heritage from the Second World War with the commemoration of the battle of the Grange Sevine where the partisans, led by the commander Aldo Laghi, alias Giulio Bolaffi, defeated Nazis.